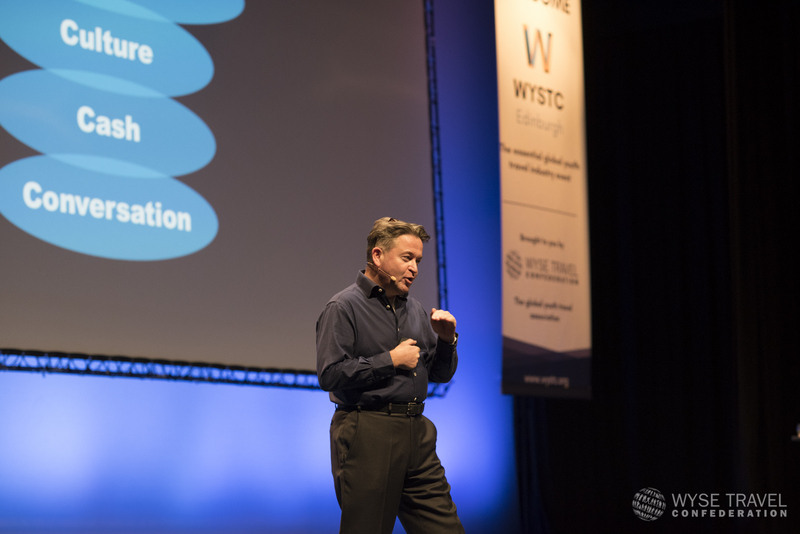 At WYSTC 2018 we heard from John Knell, co-author of The 80 Minute MBA and one of the UK’s leading thinkers on the changing face of work and organisations, culture, leadership, sustainability, and the essentials of modern communication. The sustainability debate has changed. According to John Knell, business success bought at the cost of the planet is not a successful business. It is time to stop being skeptical about our damage to the planet. While the data is clear, nothing speaks better than a visual to demonstrate how badly the planet is cooking, whether a photograph of a family finding refuge on beaches to escape bushfires, to hurricanes as global news events, public opinion has not been moved by science, but what people see with their own eyes. On average, there are five leadership books published per day. In John Knells’s opinion, most are awful and written by powerful white men, basically claiming ‘you too can be an amazing leader if only you were more like me’. We need to forget things like charisma, but instead be ourselves in a more skillful way. We must forget strategy and focus on excellent execution. Leaders need to know where their organisations are headed, understand how people are feeling, build great teams and understand what skills they do and do not have. Leaders are becoming inpatient and must take the time to listen to others, to think and to plan. How do you make amazing workplaces? We have moved to a knowledge economy where the value of a company lies in people, new ideas, processes, systems and products. To motivate people, you need social capital and to focus on group motivation rather than the individual. Workplaces are communities of people, therefore solidarity is needed to bring people together to share a common goal. Also consider what brings energy to an organisation, such as ownership – autonomy means greater discretion and influence over when and how you do your job. We must convert marketing to conversation. All ideas are staged through conversation. Conversation doesn’t just shuffle the cards, it makes new cards; innovation is the product of conversation, different perspectives and ideas. Smartphones and the internet are now weapons of mass collaboration and we are no longer passive recipients of someone else’s message. We have become a many-to-many world where traditional broadcast media no longer have the impact and the reach they once had. It’s now about how to get communities to drive interest in what you’re doing. To do this, we must act and think as media owners, learn how to co-create content and find new ways to speak to our audience. A business should always be looking around for the things that are starting to shift; we need to challenge ourselves in the way we craft our stories.